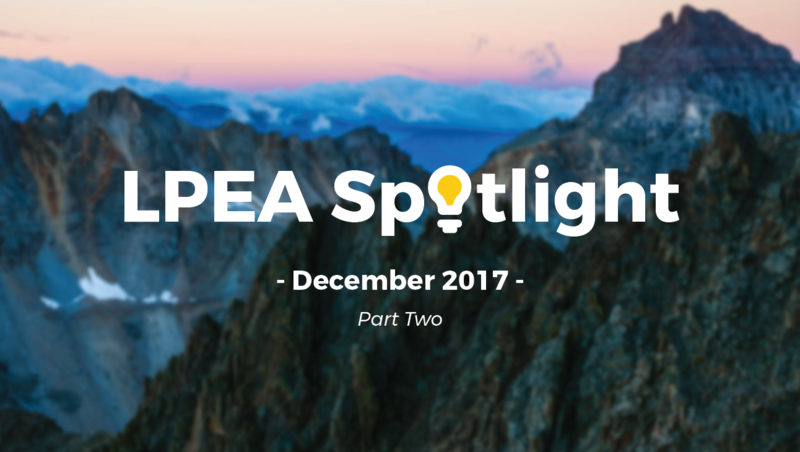 This blog series covers the monthly La Plata Electric Association (LPEA)* Board of Directors meetings. We’re tracking the board for transparency and accountability, as well as to stay current on their renewable energy initiatives. Find past and future spotlights here. The problem is, in our current contract, LPEA has lost democratic control and energy independence. Right now, LPEA is required to purchase 95% of our electricity from Tri-State Generation and Transmission** until 2050. Tri-State’s energy is over 60% coal produced, pushing them to the 2nd worst climate emitting electricity producer in the country. LPEA’s rates are already in the upper range compared to other co-ops and municipalities, but we have no independence to creatively lower those costs (See Nov ’17 Spotlight). LPEA is only allowed to generate 5% of our needs locally, which we’ve already maxed out. While communities around us take advantage of plummeting renewable energy costs, LPEA is locked into paying rising rates to cover the increasing costs of Tri-State’s aging coal plants (See Oct ’17 Spotlight). LPEA is the 3rd largest of 43 co-ops in the West that buys power from Tri-State. Each co-op sends a representative to the Tri-State Board of Directors each month to ostensibly direct the company. Theoretically, our representative should serve the interests of LPEA members. But it doesn’t work that way, as we learned last summer. In April 2017, by request of co-op members, the LPEA Board of Directors voted unanimously to request an increase of the 5% local generation limit to 10%. But in July 2017, Tri-State’s committee denied the request. Most significantly, LPEA’s current Tri-State representative, Director Kohler McInnis voted against the 5% increase in Tri-State committee, despite voting for it in the LPEA Board meeting in April (See Aug ’17 Spotlight). The vote rightly got some LPEA members riled up. People started asking questions about the validity of our democratic power. This frustration was noted and Director McInnis attempted to address it in last month’s board meeting. Unfortunately, Director McInnis only succeeded in further illustrating how strangely the Tri-State board works. He spent twenty minutes explaining step by step how he schmoozes at Tri-State to try and gain influence. The Tri-State board is one-member, one-vote. Which theoretically means LPEA should have equal representation with the 43 other members. Yet, Director McInnis explained how the board is split into committees, ranked by importance. As a brand new Tri-State representative he is ranked at the bottom, “42 out of 43 members,” and is therefore serving in the least influential committee. Influence in the Tri-State sphere is based on a hierarchy of tenure and power, not equal representation. This means that we are unfairly penalized every time we use our cooperative democratic voices to change the LPEA board member serving as our representative. How can LPEA maintain democratic control if our elected leaders can’t act in our interests? A further problem is that Director McInnis could have justified voting differently by his own standards. LPEA’s CEO Mike Dreyspring wrote a white paper explaining how it was in Tri-State’s interest to raise the 5%. But Director McInnis said that once he got there, Tri-State told him why he shouldn’t vote to increase LPEA’s local control, and then he didn’t. “You don’t see what happens behind the scenes,” Director McInnis lamented. But that’s exactly the problem. * La Plata Electric Association (LPEA) is a member-owned rural electric cooperative that provides power to La Plata County, Archuleta County, and parts of Hinsdale and Mineral counties in Southwest Colorado. LPEA buys all of its power from Tri-State (see below). ** Tri-State Generation & Transmission Association is a not-for-profit, wholesale power supplier that services 43 electric cooperatives and districts in Colorado, Nebraska, New Mexico and Wyoming, including LPEA. The COOP members need someone that can express the wants of the members not some one that can just carry baggage. The 4 Corners power plants are slowly improving air quality. Tri State should produce and supply clean power PERIOD….. I couldn’t agree more. We here in Southern Colorado have the right to demand clean renewable energy. If we are indeed a democratic co-op than don’t we have a right to sue the LPEA board for getting us into the position of 30 years of dirty energy? My blood is boiling enough to power the whole region. (as stated on the LPEA website, is that “If they enter into agreements with other organizations… they do so on terms that ensure democratic control by their members and maintain their cooperative autonomy.”) A member for over 27 years.